The Grampians are one of Victoria’s most majestic natural tourist attractions and offer visitors some of the most breathtaking views in Australia. 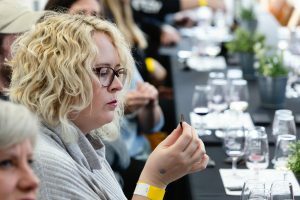 It’s against this amazing backdrop that a community of world class Wineries, Breweries, Cider Houses and Producers has thrived over the last 27 years at the Grampians Grape Escape. Yup, this is what it is all about festival goers, WINE & FOOD! 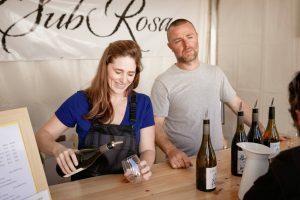 Relish the very best wines from the Grampians region, taste your way through dozens of craft beer and cider stalls and shop up with local producers and makers. Map out your weekend or take the day as it comes. Over 120 exhibitors are yours to explore. Discover who is exhibiting on our website or with your free program provided at the gates. 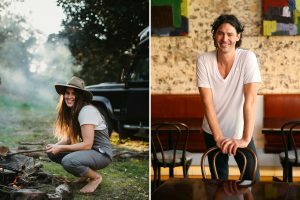 Be entertained by Irish-born Fassnidge is a restaurateur and television personality on Channel 7’s My Kitchen Rules, Colin Fassnidge and be inspired by by the amazing Sarah Glover, with themes around road trip cooking. Sarah’s demonstrations will be a must do for Campers, Caravanners and those who love to get out in cook in the Wild. 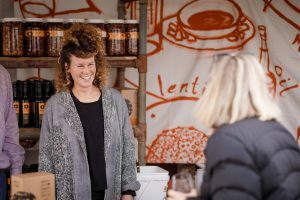 With hundreds of crafted wines, beers and ciders on offer, Tasting Ticket holders can sample their way around the festival village with GGE glass in hand, making the most of the wine store for take home purchases. Try an award winning shiraz, golden amber ale or uncover your favourite bottle of chardonnay. Connecting with the talented makers of Victoria will be a true treat. Get the most of your festival experience, sit back and learn from our expert exhibitors. Masterclasses are free for all to attend, but for an intimate educational experience, add on a Workshop. Masterclasses and Workshop details will be finalised later on in the year. Fancy yourself in the kitchen…or don’t…? 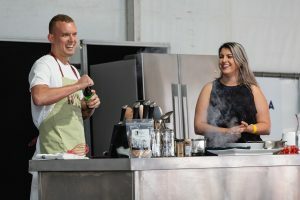 Be inspired and master skills for home with Cooking Demonstrations from guest chefs, along with guest exhibitors and regional chefs. From the parent who wants ideas for a quick and healthy meal the whole family will enjoy to the serious at home cook, there’ll be demonstration fun for everyone. 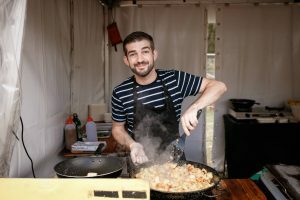 Grampians Grape Escape will be brimming with quality festival food stalls. With variety to satisfy all members of your party, devour a croquette burger, demolish Spanish Paella or try a festival favourite, Forge Pizza. Finish up with a delightfully naughty crème brûlée or the deliciousness of a glazed donut matched with a strong coffee to get you through the day…after all, this food frenzy is thirsty work.